We are hosting the 2014 Undergraduate Research Conference for Gender and Women’s studies this Friday, November 14 in the Gamble room of Rush Rhees Library. 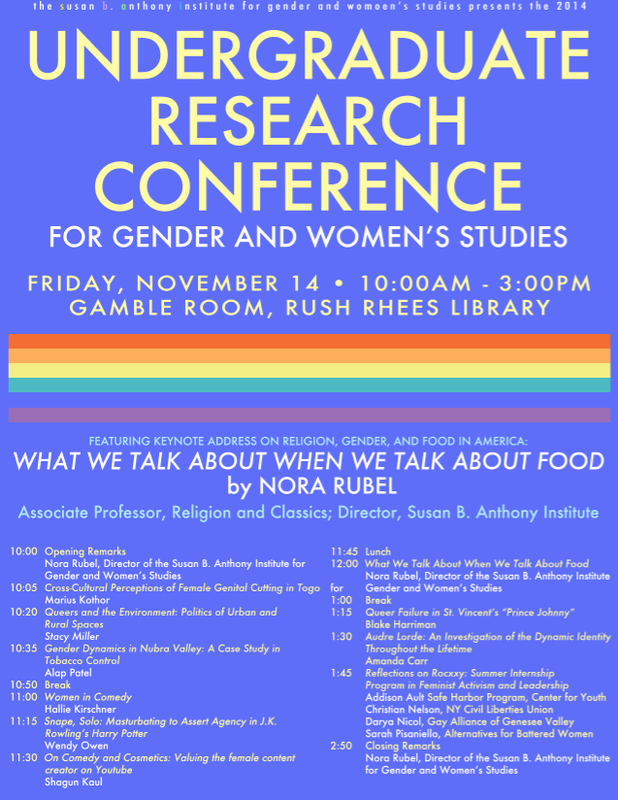 The conference will feature a keynote address at 12:00pm discussing religion, gender and food in America, “What we talk about when we talk about food” with Nora Rubel, Director of SBAI and Associate Professor of Religion and Classics. Lunch will be provided, and the conference is free and open to the UR Community. For a schedule of presentations, please see the poster below this information or visit the events page of our website.